Don't let your child waste away the summer this year playing video games or watching TV. 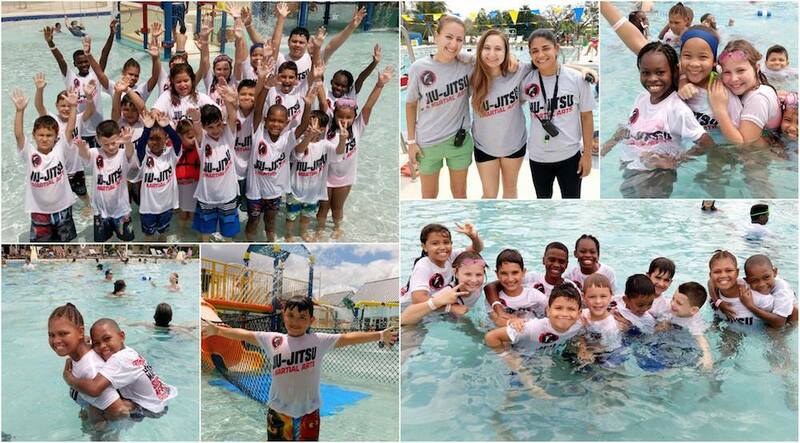 Give them the chance to get out and be active with our Summer Camps at Fight Sports Coral Springs. With more than 35 field trips and tons of exciting games and activities, your child will be thrilled to come back day after day! We also pride ourselves on keeping Summer Camp spots limited so that every child can enjoy the highest quality instruction and individualized attention. Fight Sports Summer Camp Is The Best Way To Stay Active And Have Fun! Whether your child is experienced in the martial arts or not, we can guarantee they will have a blast this year with Fight Sports Summer Camp. Our flexible scheduling allows you to drop them off late and pick them up early if need be. And each and every day is jam packed with the best activities in town. You don't have to worry about who is in charge of your child all day, either. At Fight Sports Summer Camp, our staff is made up of trained professionals who have tons of experience working with young children and providing a safe, educational experience. Unlike other camps that are run by teenagers who need a summer job, our Summer Camps include only the highest quality instruction and a limit of 35 campers to make sure everyone has a blast! Space is VERY limited, so don't wait until it's too late. Book your Fight Sports Summer Camp today and give your child the best summer camp in Coral Springs. To get started, all you have to do is fill out the short form on your screen and a member of our staff will be in touch soon to answer all of your questions and get you signed up!